Havre de Grace City Hall is located at 711 Pennington Avenue, Havre de Grace MD 21078; phone: 410-939-1800. Photo: Scion Hill, ca. 1785/1806, 2026 Level Road, Havre de Grace, MD. Listed on the National Register of Historic Places in 1990. Historic American Buildings Survey, E. H. Pickering, Photographer, 1936, [HABS MD-521], memory.loc.gov, accessed June, 2015. Havre de Grace is located in northeast Maryland at the mouth of the Susquehanna River on the Chesapeake Bay. The City is centrally located between Wilmington, Delaware, which is forty miles to the northeast, and Baltimore, Maryland, which is thirty-five miles to the southwest. These cities are connected by US 40, which extends through the City, and the John F. Kennedy Memorial Highway (Interstate 95), located just northwest of the City. Havre de Grace is in the eastern corner of Harford County and constitutes one of the three municipalities in the County. Other municipalities include the City of Aberdeen, located three miles to the southwest, and Bel Air, the County seat, which is located thirteen miles west of the City. Northeast of Havre de Grace, across the Susquehanna River, is Perryville, which is a small community located in Cecil County. Havre de Grace is connected to Perryville and Cecil County by the Thomas J. Hatem Memorial Bridge and the Millard E. Tydings Memorial Bridge. The first recorded history of Havre de Grace can be traced back to the mid-1500s when various explorers traveled into the Chesapeake Bay area. A map of the Bay was produced in 1585 by an Englishman named Wyth, but it was not until John Smith's exploration of the Upper Bay and Susquehanna River area in 1608 that a detailed description of the area was recorded. In 1658, the land on which Havre de Grace is now located was granted to Godfrey Harmer, and he called the site Harmer's Town. 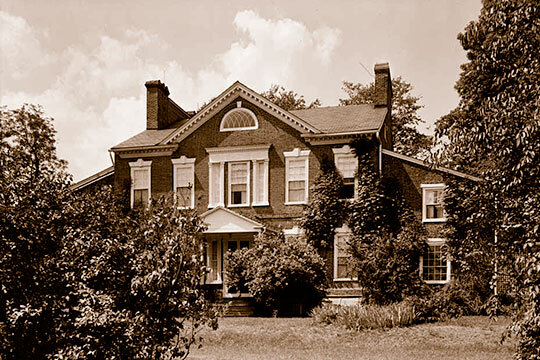 During the following year, Harmer transferred his land to Thomas Stockett, and the site became known as Stockett's Plantation. The growth of the City are closely linked to its location at the mouth of the Susquehanna River. In 1695, the General Assembly granted permission to establish a ferry with inns on either side of the river. A toll ferry, put into operation in the same year, became the first legally established crossing of the Susquehanna as well as an important crossing on the lower Susquehanna. After the establishment of Bell's Ferry at Lapidum in 1727, Bell's was referred to as "Upper Ferry," and the settlement on the site of present day Havre de Grace became known as Susquehanna Lower Ferry. During colonial times, Havre de Grace, known as the Susquehanna Lower Ferry, had become an important link in the great coach road between Philadelphia and the South. The Lower Susquehanna River Crossing was used more frequently than other river crossings since it was located on the most direct route between Baltimore and Philadelphia. Washington, Jefferson, Richard Henry Lee, Madison, Monroe, John Adams, John Quincy Adams, and other colonial leaders used the Lower Susquehanna River Crossing during their travels. The City became known as Havre de Grace in about 1782. According to legend, Lafayette referred to the City as Havre de Grace in a letter to George Washington. It is said that the site reminded him of the French seaport, Le Havre. Havre de Grace was incorporated as a Town in 1785 and in 1799 developed its first City Plan. Many of the streets that were laid out on this early plan still exist today, with Congress and Union Avenues as principal streets. While the City had not been directly involved in the Revolutionary War, much of it was destroyed during the War of 1812, the second war with the British. In 1813, a group of local militia from Havre de Grace fired upon a party of British naval vessels, leading to the subsequent burning and ransacking of the Town by the British. Consequently, few eighteenth century structures remain in Havre de Grace, and the City has subsequently rebuilt itself.